The Obagi Blue Radiance Peels exfoliates and helps improve overall skin complexion, and provides firmer, smoother, brighter-looking skin after just 1 use! A series of 4 to 6 peels provides best overall results. The procedure is a simple, in-office facial chemical peel to help accelerate the transformation to beautiful, healthier-looking skin. It takes less than an hour and usually does not require sedation. 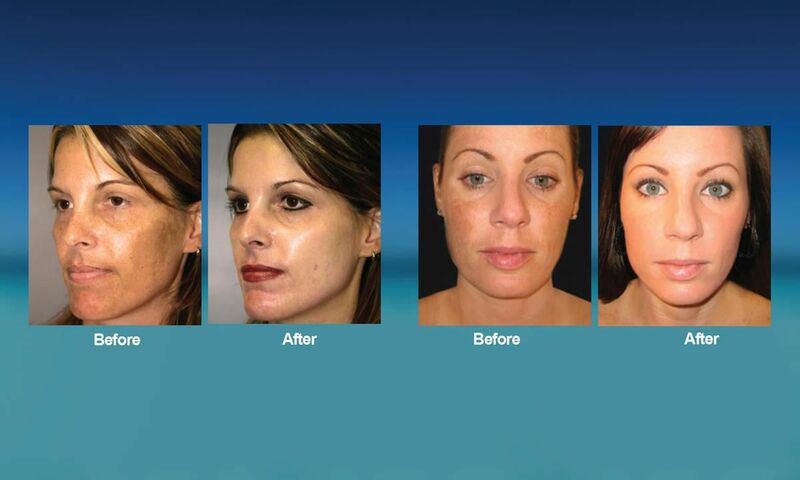 The Obagi Blue Peel was featured on The Doctors Television Show. Click link to view video. Clients can expect a mild burning sensation that generally lasts only a few minutes. You may experience a bluish tint to your skin that washes off in 12 to 24 hours. Over the next few days your skin will begin to peel and will be healed within 7 to 10 days. Obagi Skin Care Products include prescription-strength formulations and are available only through physicians, medical spas, and other skin care and medical professionals. You can purchase quality Obagi skincare products at SKIN the Spa!